A group of students stand in line for the Cake Booth at the A.W.S. (Associated Women Students) Carnival. 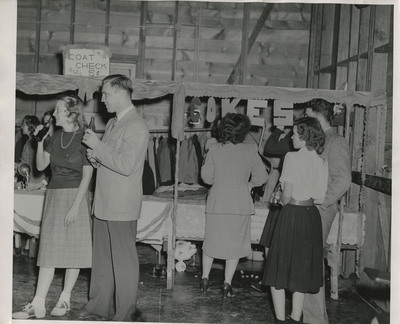 Unknown, "Cake Booth at A.W.S. Carnival" (1947). Linfield College Archives Photograph Collection. Image. Submission 121.